Note: Bidsketch has a separate, built-in electronic signature feature that's included in the Freelancer, Studio, and Agency plans. You can learn about the Bidsketch electronic signature here. 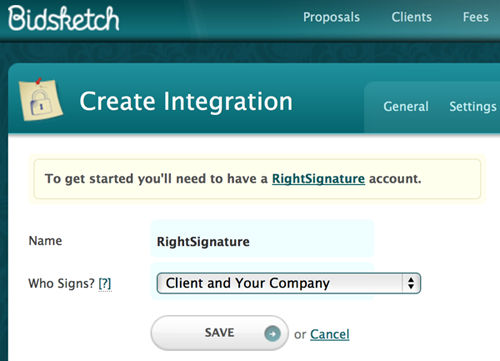 To set up your RightSignature integration, go to your account settings, to the “integration" tab. Click on the “new integration" button. 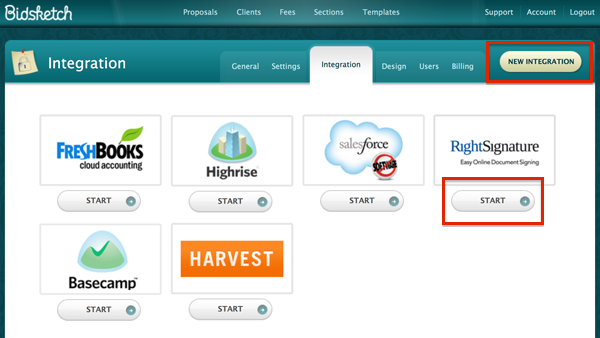 Underneath the RightSignature logo click "start" to get started. From here you'll be taken to a verification form. Select who should be required to sign, and click "save." 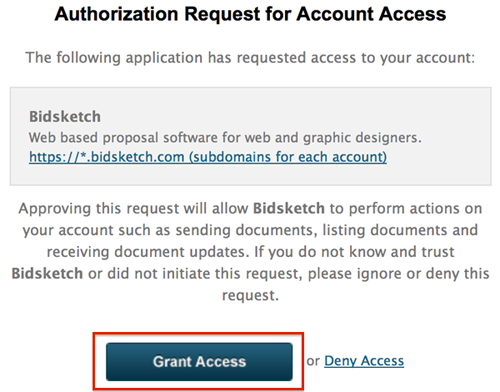 Once you've completed this step you'll be directed to your RightSignature account, where you can authorize Bidsketch. Click the "grant access" button, and you're done. When your client accepts your proposal they will see a modal notifying them to check their email to sign the document. They will then follow a link to the document where they can sign. 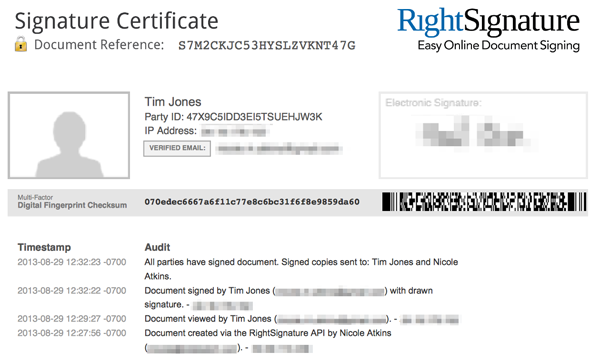 You can view the status of a signature, as well as the signature certificate, right from your Bidsketch dashboard. From the proposal details page, on the right-hand side you'll see a RightSignature box. This section gives you the status of that proposal's signature. To view the signature certificate, click on the "view" button.